Sales involves a number of tough challenges, including hiring the right kind of people and appropriate brand presentation, Rachit Mathur, Co-Founder & CEO at Avenue Growth, said in an exclusive interview with SME Times. Tell us about Avenue Growth? What inspired you to launch a Sales Outsourcing company? 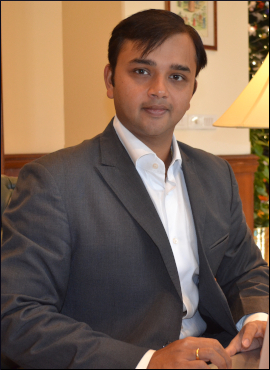 Rachit Mathur: I have been myself into sales business for a very long time and from this, the inspiration of Avenue Growth came from. Whenever we tried to do sales for a company or when I was working in a sales role we always saw that any company who is wanting to expand, the thing which holds them back is the high-cost fleet on the ground. Like you see whenever you want to expand your business in more cities, the only way you can do that is by hiring more people on the ground who can do sales for you because revenues of the company are directly proportional to the number of people selling for the company. Also, as per a report, it had stated that 7 out of 10 times the reason businesses failing is because they are not able to hire a large sales team who can bring in more and more revenues for the company. So then we really wanted to change this because I have been in this profession and have also been an owner of businesses, so I decided how I could that. And the only way we could change it is by making it into a variable model which was cost-efficient for the brand and lucrative for the freelancers. What are the major challenges faced by the companies for sales? Rachit Mathur: So I think that the number one challenge that any company faces when it comes to sales is firstly hiring the right kind of people. Because hiring right kind of people is not only expensive but also time-consuming and when you hire somebody only after three to four months you come to realize if the person is performing or not. Also, another challenge is the quality of the people who are coming on board and how the brand is being presented. In sales a lot of time is taken by people to meet their target, they do false commitment around what is being delivered and later on, the brand has to face the consequences of that. The duty of Avenue Growth is that, since everything is controlled by a tech process all these issues donât arise. Companies in India are a bit conservative for Sales Outsourcing, how does Avenue Growth tackle this challenge? What are your growth strategy and focus areas for the Indian market? Rachit Mathur: The number one concern that they have when it comes to sales outsourcing is how their brand is being represented. So basically what we have built over the years through our technology and processes is a seamless way of brand representation. All the growth specialist who is on the platform with us are highly trained, skilled and through our app and technology, they are able to represent the brand in the best possible manner. Also, it brings a very unified and uniform way of selling to the brand. So thereâs a high level of transparency when it comes to sales through us because the brand can view everything that is happening online through dashboards which are given to the brand. Our growth strategies are that we want to board on a maximum number of freelancers. So our target is to reach to one lac freelancers by the year-end. And we are going very aggressive in smaller cities because our biggest aim is that the people should not leave their towns cities and move to bigger towns to look for a job. We should be able to provide them with the resources they need to work from their own cities or towns. How different is Avenue Growth in Sales Outsourcing space? Which are your target industries? Rachit Mathur: We are industry agnostics, we work across sectors like from healthcare to education to digital marketing. Coming to the question that how different we are. Well, firstly I would like to share that there are very few companies around the world who are doing it and what is our biggest USP is our tech platform and the processes we have created around it. You see sales is a process, right from identification of a lead to make an appointment to pitching to giving a demo and finally sending the quotation and closing the sale. Who are some of your clients? How have they benefited from the services offered by Avenue Growth? Rachit Mathur: As I mentioned earlier that we are not to providing sales to any specific sector, we are open to all kinds of businesses seeking sales. From internet giant to logistics to Bank and fintech our clients are from a wide scope of industries. Because we provide a risk-free plan and engagement of highly professional sales person allotment the rate of benefit a company measures is usually impressing. We guarantee 30-100 confirmed meetings with the decision maker in the prospective organisation. If we are unable to meet the desired numbers then we will refund the on-boarding cost to the client. How does Avenue Growth accelerate sales growth for its clients at low customer acquisition cost? Rachit Mathur: Avenue growth is a sales platform and we have a set of processes in it. We start by identifying, we have built software, processes and algorithms around it which starts from identifying who the right people, then the system train these people on the process on what was the product is or the service which is to be sold and what it is, who the target market is, how to pitch a product, how to give a demo and how to a sale. So we take care of the entire process in a very controlled environment. How do companies better prepare their sales strategies? What are the core pillars of a solid sales growth strategy? Rachit Mathur: So I think that when it comes to any sales strategy the number one thing is how well a company is able to train its sales force on the product and the second one is to identify the core customer and continuous training of the salespeople. What are the 5 major benefits of sales outsourcing? Rachit Mathur: Scalability, the timeline that is you can enter any city very fast, no fixed cost, representation, increased revenue. How do you drive your team to meet the clientâs target? How do you plan to position Avenue Growth in India over the next 5 years? Rachit Mathur: Avenue Growth should be the only way a person or a company is wanting to do sales. So any company or product which is being launched or wants to expand or who are just starting up to sales should just think of Avenue Growth when it comes to sales. We want to become an integral part in every company when it comes to sales in India and also any company who is thinking of entering into Indian market should think of Avenue Growth to launch their products in India.